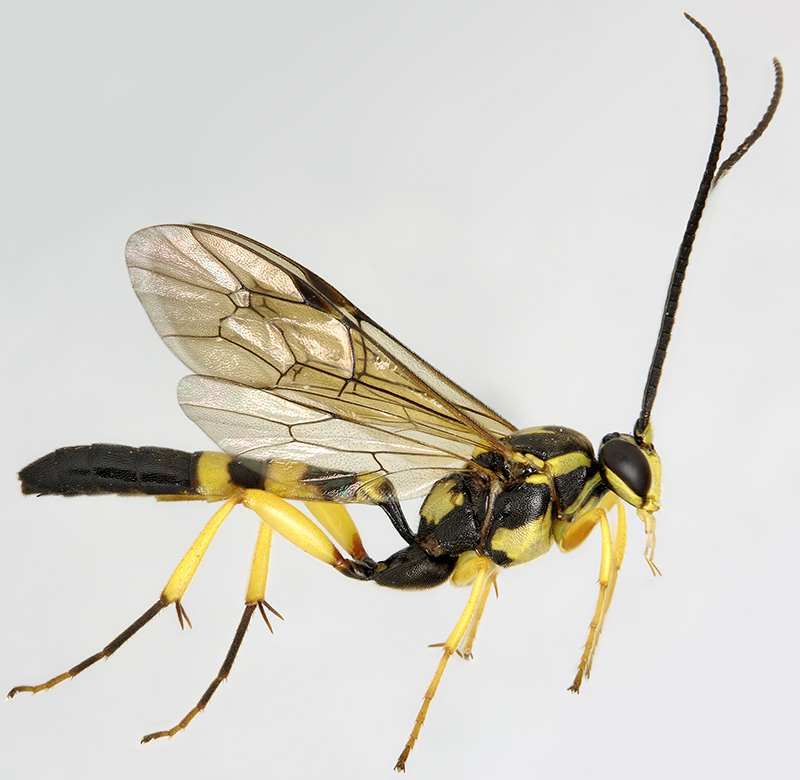 Ichneumonid wasp, a parasitoid, in the larval stage, of the caterpillars of lepidoptera. 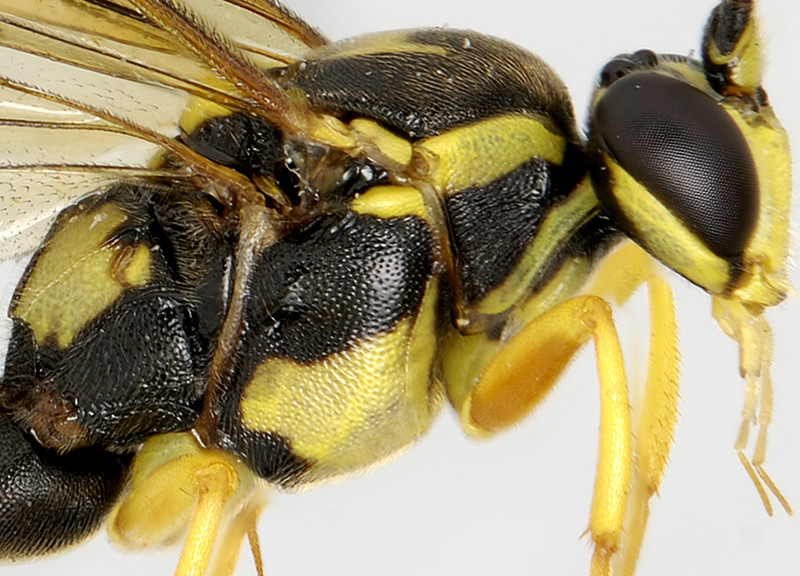 A black and yellow pattern is a standard aposematic combination in nature. Uncertain as to whether this insect is actually dangerous/unpalatable to potential predators (Mullerian Mimicry) or whether it is harmless and thus exhibiting Batesian Mimicry. Either way, it's a pretty insect. The wing venation diagnostic of the family is beautifully shown in the first one. A perfect specimen. Black & yellow is always a stunning combo. Is this specimen pinned or on a paper point and than you airbrush everything out? Is this specimen pinned or on a paper point and than you airbrush everything out? Pinned, see HERE for technique.